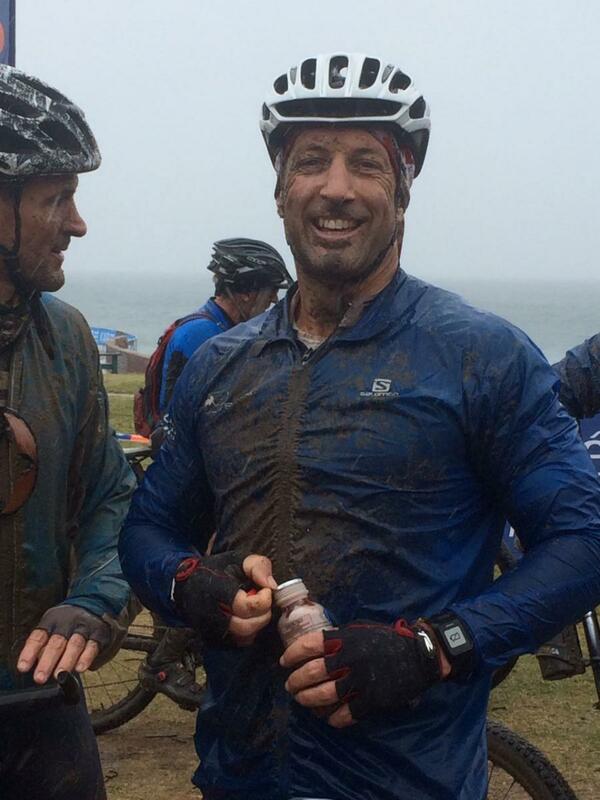 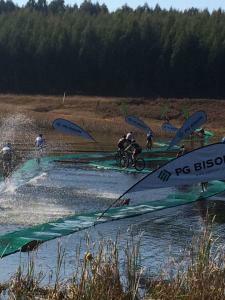 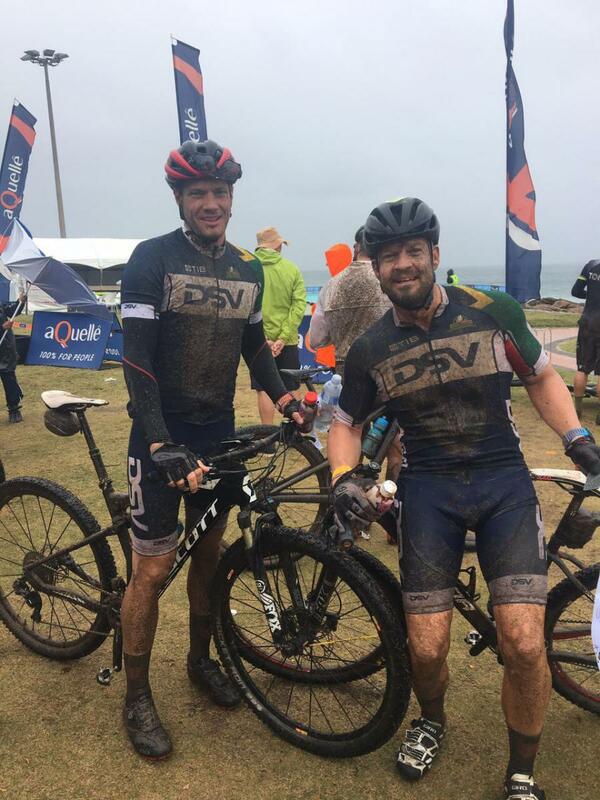 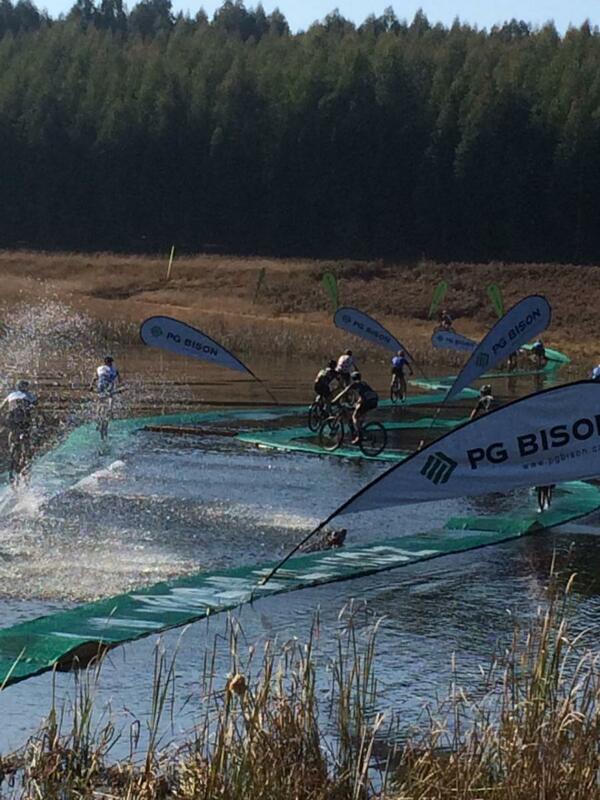 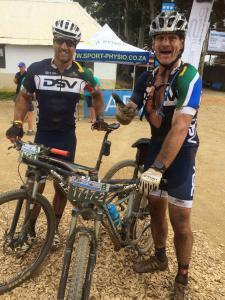 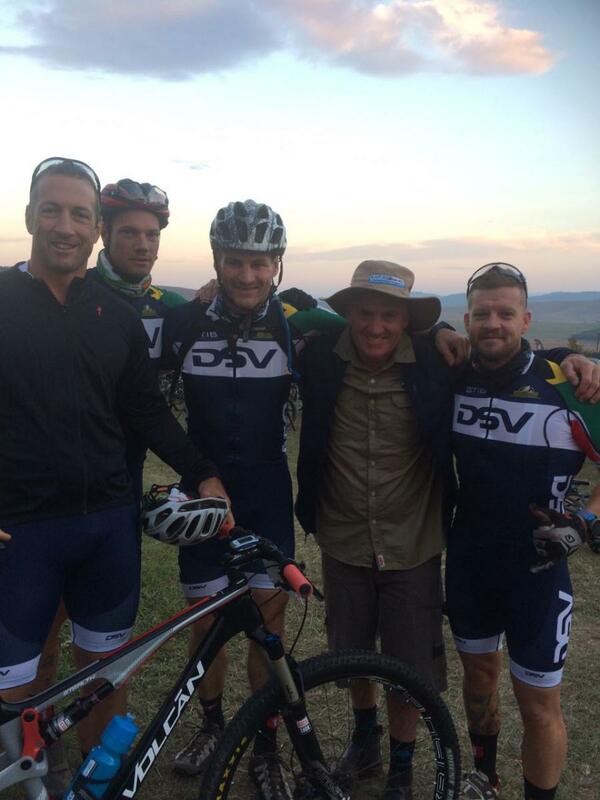 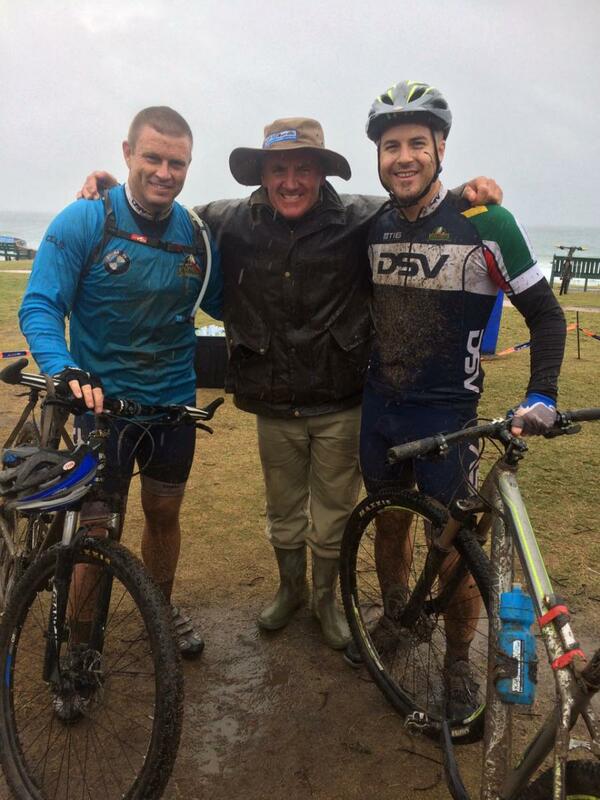 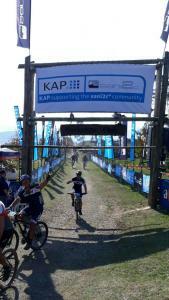 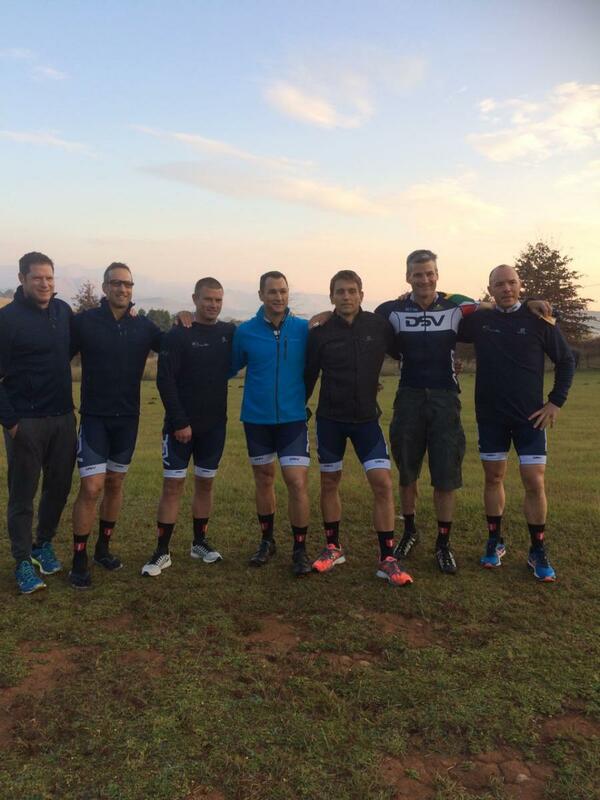 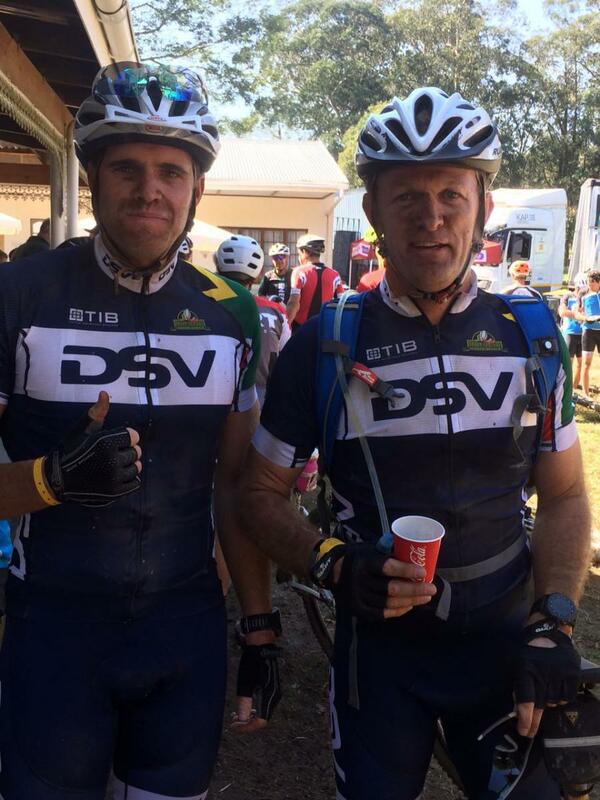 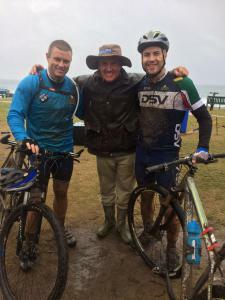 It was a wet and very muddy final day for our SA RUGBY LEGENDS and DSV corporate teams who took part in the Adventure section of the annual KAP Sani2c three day cycle race that starts in the Southern Drakensberg town of Himeville and winds down to finish at Scottburgh main beach. 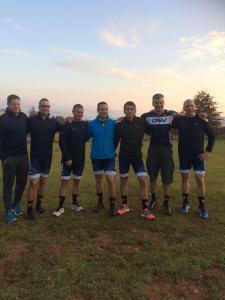 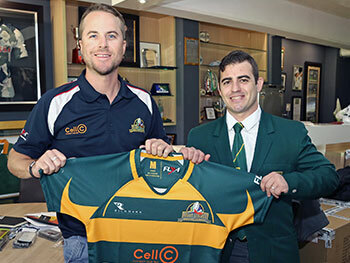 This year, Legends Stefan Terblanche, Trevor Halstead, Warren Brosnihan, Matt Pennefather, Shaun Payne and Neil Cole flew the SARLA flag, joined by 4 corporate teams from long time SARLA sponsors DSV. 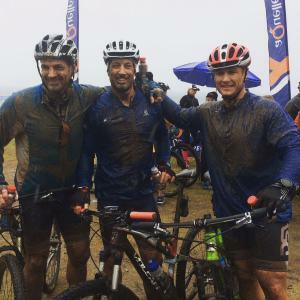 Warren Brosnihan, paired with Stefan, experienced severe stomach cramps halfway through the first stage, but in legendary style pushed through to the finish at McKenzie Country Club in a time of 04:31:26. Day 2 from McKenzie Club to Jolivet Farm is by far one of the toughest days you’ll experience on a mountain bike with the 96km stage taking you through some breathtaking scenery in the Umko Valley. 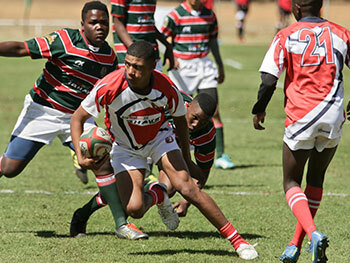 The weather took a turn for the worst with excessive rain & mud creating additional challenges on the final day, with many competitors pulling out because of the hazards. Our DSV Legends teams carried on and finished the race, carrying with them a lot of mud and heading straight to the showers after the finish. 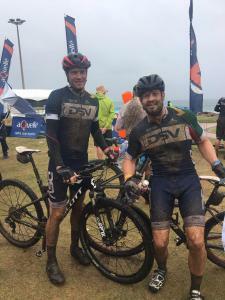 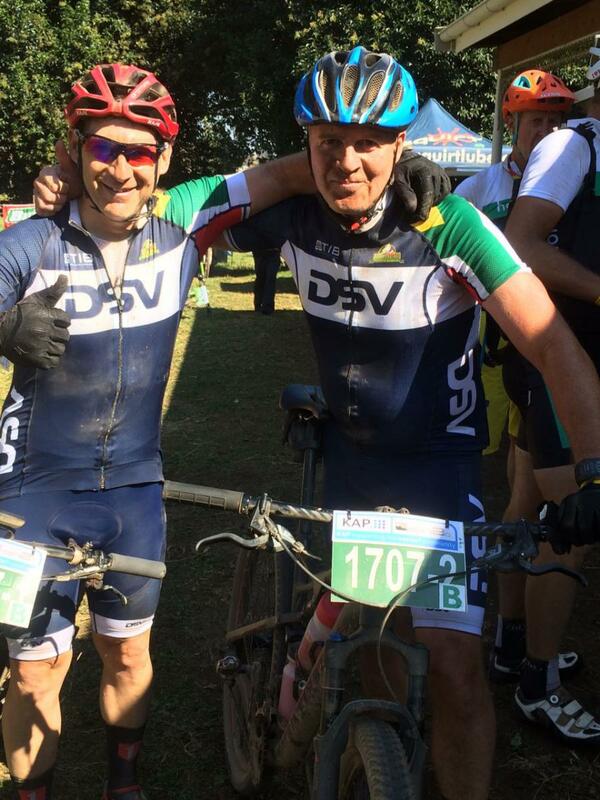 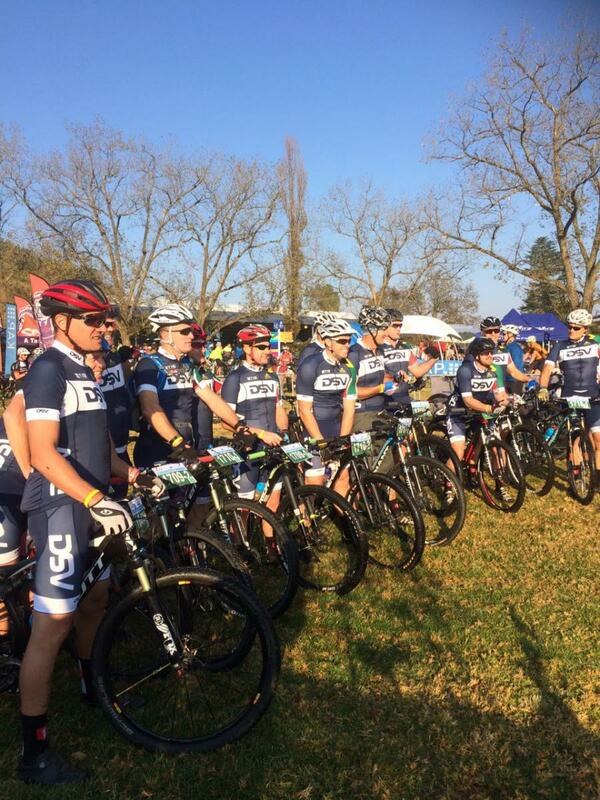 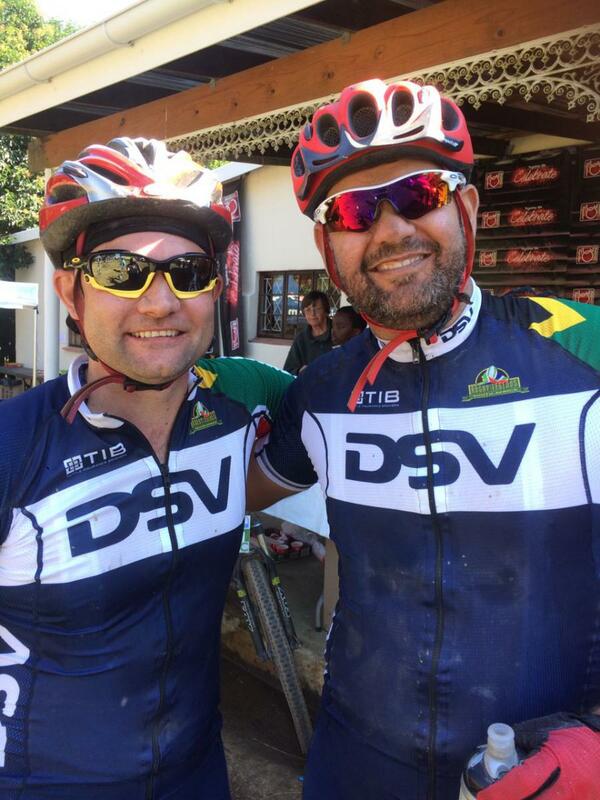 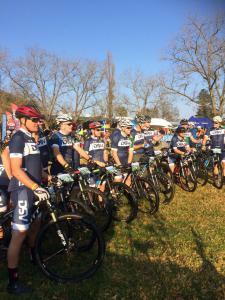 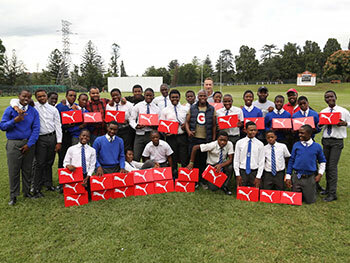 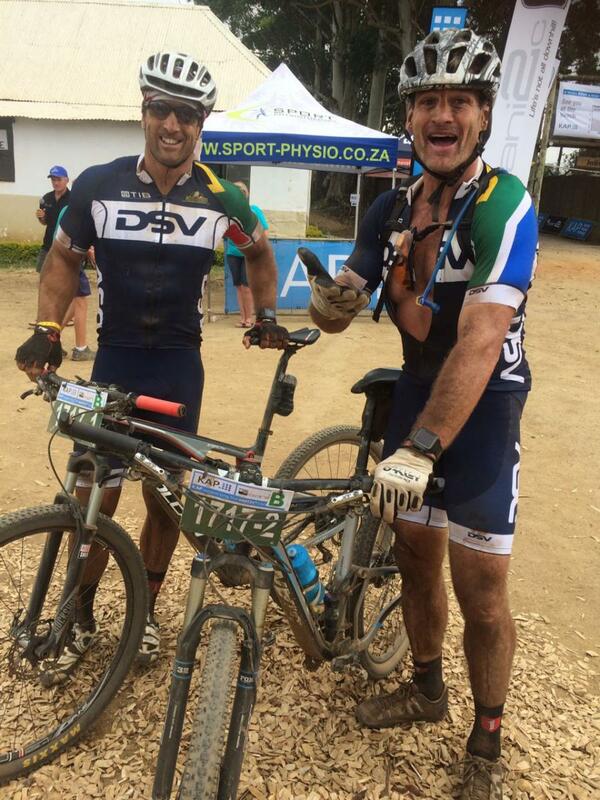 Congratulations to all our Legends who participated as well as the DSV corporate teams and thanks to DG Apparel for the race kit and TIB for their support of the event.